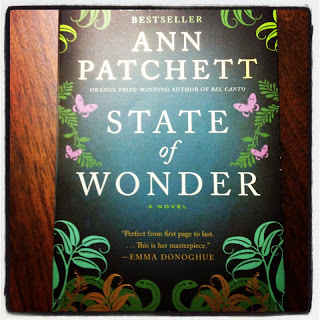 I was excited to have State of Wonder by Ann Patchett on my Summer Reading List. Having thoroughly enjoyed two of Patchett’s previous books (The Magician’s Assistant and Bel Canto), I looked forward to her most recent New York Times bestseller. It was especially relevant to my life outside of Red Shutters, where I work at an organization dedicated to advancing ethical research. In State of Wonder, Patchett addresses several issues critical to the continued success of the research field, including respect, justice, beneficence, informed consent, and coercion. As I can sometimes find it challenging to explain my field to lay people, finding a popular novel that can do so is refreshing and helpful. Marina Singh, the heroine of State of Wonder, is a doctor working for a US-based pharmaceutical company. Her colleague and friend dies while on a business trip to the Amazon in Brazil (don’t worry – this isn’t a spoiler; it happens right away!). The purpose of his trip was to obtain an update on the research efforts of the elusive Annick Swenson, an investigator funded by Marina’s employer who is seeking to develop what could be a very valuable and life-changing drug. When Marina volunteers to go to the Amazon to pick up where her friend left off, she is thrust into a world far from the safety of her laboratory, where the roles of researcher and research participant have become blurred. From the outset, Dr. Swenson’s approach to research is troubling. No one is aware of the details of her work–not even her exact location–and she is not required to provide regular progress reports. While the secrecy of this elusive researcher is grounded in altruism, her distrust of her funders, her fellow researchers, the research oversight system, and even the subjects of her research threatens to destabilize her work. While Patchett does not provide an in-depth exploration of the research issues many ethics committees grapple with, she does, through Marina’s story, examine the real-life dilemma of holding tight to our ethical centers in the face of the tantalizing prospect of scientific discovery. Patchett is a gifted and dazzling storyteller, and this book is a terrific launching pad to engage friends and family in a discussion about the questions of right and wrong and about the tough choices we make in adverse circumstances. I recommend adding State of Wonder to your summer-quickly-becoming-autumn reading list. If you read it, I hope you’ll share your thoughts about the book with us here at Red Shutters!